Country Quilts and Dolls: Finally a finished Quilt!! This quilt has been about 18 months in the making. Started off making a table topper in the same colours - Moda Beach house (??) and I liked it so much decided that I'd like a quilt. I used a charm pack and a layer cake. To make the quilt bigger I added in the sashings and borders. It was a fun quilt to make and quite easy but it sat for so long waiting for the borders to go on. Finally on the weekend, I completed the borders and yesterday quilted it. Last night was spent doing the binding. I only quilted in the ditch - simple enough and I thought with the colours it didn't need a lot more. 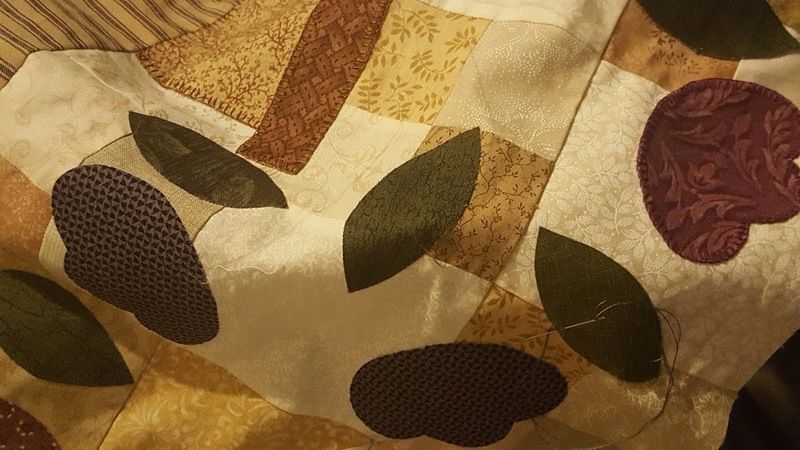 I intended to cut the binding on the bias for a slightly different look against the border - but it just didn't work out and I knew that I was going to waste the fabric if I kept going, so it's a traditional binding. I can finally put something on Sew it's Finished blog!! Yeh! !